Chicken is one of the most versatile ingredient and believe us or not, chicken recipe can be quite healthy and super fast to cook. In any cases, chicken dishes are always delicious and is the best random thing that can be expected on a dinner table. 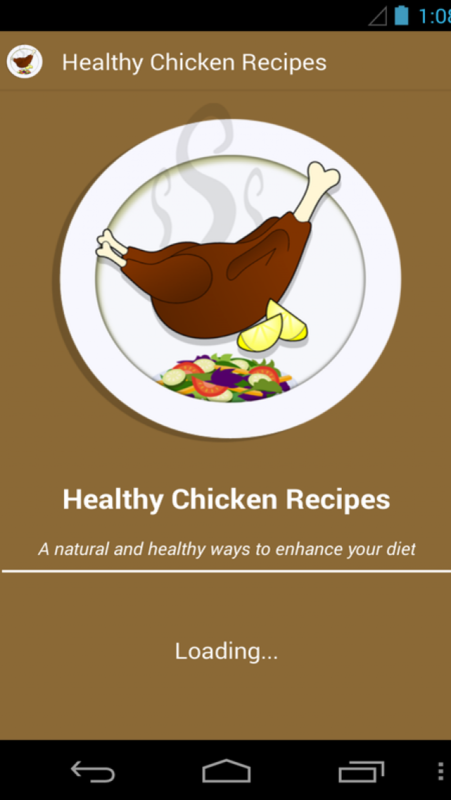 If you too are crazy about chicken, here’s an app that presents amazing chicken recipes. 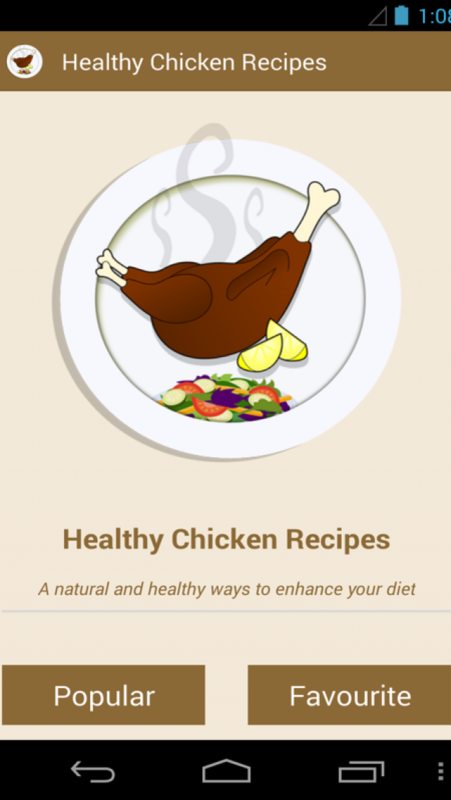 1) Collection of Healthy Chicken Recipes. 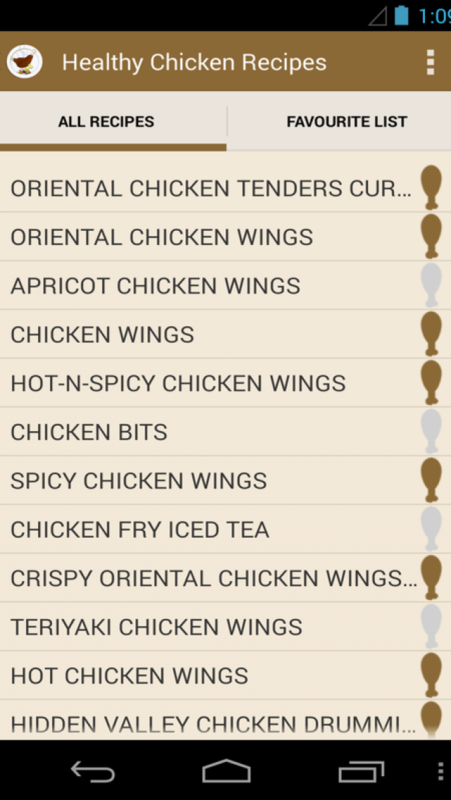 2) Favorites section for Chicken Recipes you likes to try. 3) Share best Chicken Recipes with other family and friends. Chicken can be had in all forms – roasted, boiled, fried, grilled, cooked, smoked, in sandwiches, in salads, as soup and lot others. Everything sounds delicious when it comes to chicken preparations. However many worry about those rich looking platters and though it suits the eye and taste buds, the accompanying ingredients might be harmful to the overall health. However, this is a completely wrong notion. Chicken servings can look delicious even without using a whole lot of spices. Neither do you have to use a lot of oil to have the chicken properly cooked. Another advantage of chicken recipe is that they could be paired with rice, bread and even drinks! It certainly makes the meal time look special and all foodies would like to believe that the moment lasts till eternity. 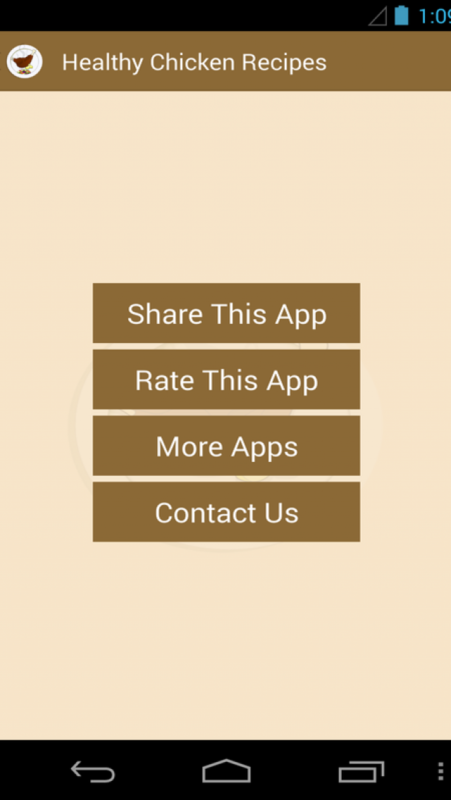 All the recipes stated in this app are low in carbs and calories and not only are they good or the health, they are very easy and quick to prepare. These low fat chicken preparations are amazingly filling and delicious and will certainly make you forget that they could also be healthy. All the recipe herein have a finishing time under 30 minutes and you would certainly realize how easy serving chicken can become. It doesn’t always need to be a daylong preparation to get that hearty smell! 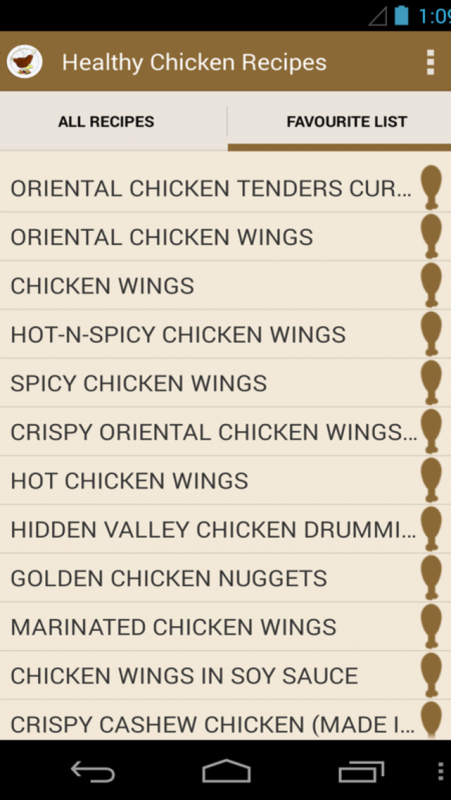 Check out the app and you certainly will gorge over it!